Created by the design house of Maurer & Wirtz in 1959, Tabac is classified as a sharp, floral, soft fragrance. This masculine scent possesses a blend of lavender, citrus and warm florals. 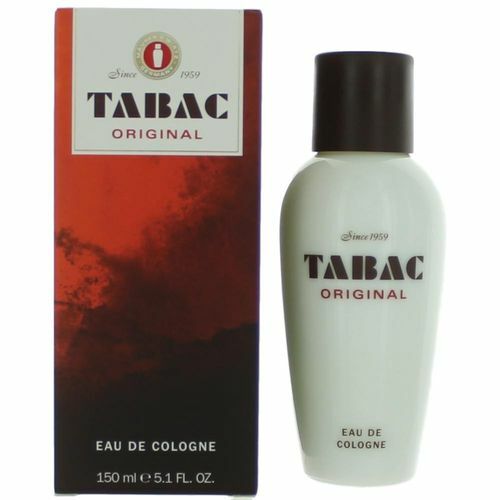 Tabac, my mother introduced my husband to Tabac in 1960 and he has been wearing it ever since, when I can find it .... I'm so happy that I found The Perfume Spot.com. and one of our sons has taken to it also.. Please keep your site open. I'm also a great wearer of Red by Beverly Hills, I have been using it since day one and I was told by soooo many family and friends this is my Signature Scent. Just love it. ]5Shelley]Smells great!